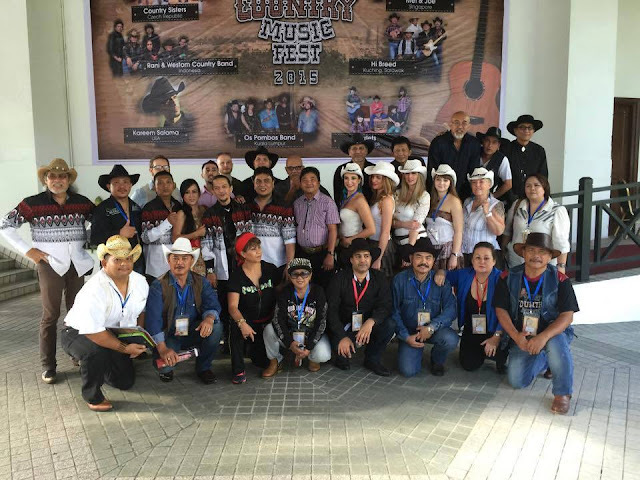 Miri Country Music Fest or better known as MCMF, the festival is an annual event, which celebrates western and country genre, good time urban cowboy fair with a hint of honky-tonk and a healthy measure of rock. 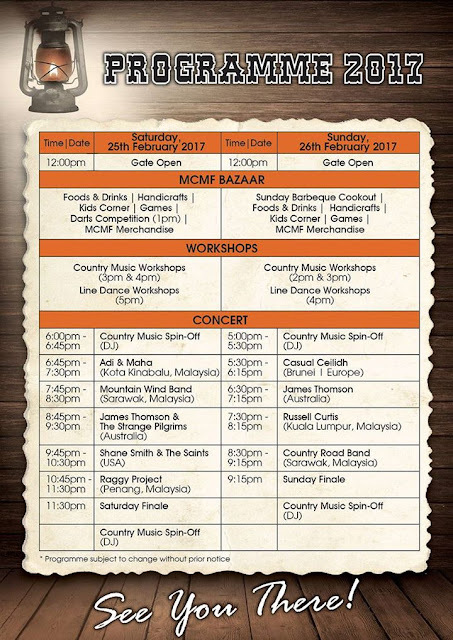 Adopted from the southern America, MCMF took root in Northern Borneo, along the beautiful Brighton Beach which will be happening this weekend on the 25 & 26 February 2017. This festival is endorsed by Ministry of Tourism, Arts and Culture Sarawak, Sarawak Tourism Board and Miri City Council, and supported by Ministry of Tourism Culture and Malaysia Major Events. The official media partners are Rentak Sejuta and Selebriti Online while MASwings is the supporting airline and Brighton Travel and Tour the official tour partner. Among the highlighted selection of 2017 line-up is James Thomson and the Strange Pilgrims. James Thomson is a critically acclaimed musician and songwriter from Newcastle, Australia. He has released two highly regarded albums and toured nationally in Australia both solo and with his band ‘The Strange Pilgrims.’ Thomson’s latest album ‘Cold Moon’ is a soulful trip through country, blues, rock and roll, folk and beyond. James’ Grandfather was a multi-instrumentalist musician and from a young age James heard a steady stream of country, blues and jazz music. After being given a guitar from a relative, he started learning simple chords and songs. Fascinated by the versatility of artists like Bob Dylan and Neil Young, James set about discovering their respective influences and was soon hearing artists like Hank Williams, Robert Johnson, Jimmy Reed and The Everly Brothers, as well as traditional folk and blues music, which all had a lasting impression. Thomson debut album was an introduction to a songwriter already sounding beyond his years in terms of his songs and their lived-in delivery. From Kota Kinabalu, Adi Wow & Maha is a country band duo which consists of Abdul Hadi, the lead vocalist who plays the acoustic and electric guitar, and Maha as the back-up vocalist and electric and acoustic guitarist. Abdul Hadi or Adi Wow, was the former lead singer from the band called ‘Wow’. Adi has 3 albums which were released in the early 1990s. Kau Yang Satu, Engkau Tetap Satu and Terukir Rindu were hits on the radio in Malaysia, Singapore, Brunei and Indonesia. Three of the songs hit the chart of Muzik-Muzik TV1, TV2, TV3 and ASTRO in Malaysia. Abdul Hadi has performed and toured, doing major concerts in Kuala Lumpur, Singapore, Brunei and Indonesia. Recording artiste Russell Curtis is certainly no stranger to the Malaysian music industry. Apart from recording, he performs live for music festivals, album tours and private events. 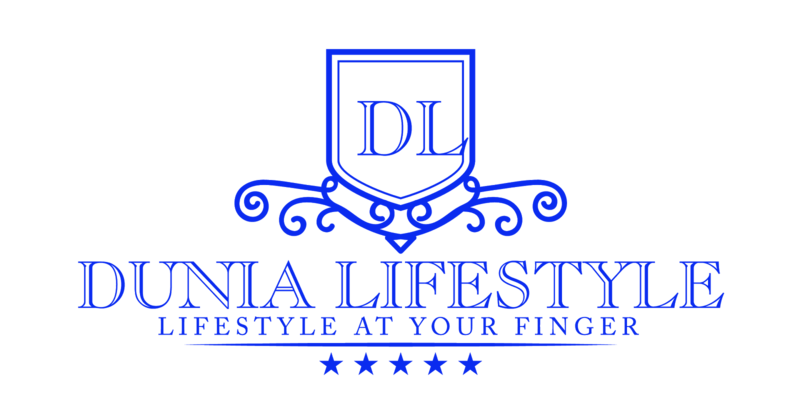 Being a favourite among affluent clients, his experience has taken him past the shores of Malaysia to perform in Singapore, Manila, London, New York, Los Angeles, San Francisco and even Las Vegas. In November 2013, Russell Curtis defeated nine other countries and was crowned Grand Champion at the Yamaha Asian Beat Band Competition held in Jakarta. This makes his the only Malaysian team to have emerged as champions overseas in the 16 years that the competition has been running. After launching his debut album in 2014, he received two AIM (Anugerah Industri Muzik) nominations for “Best New Artiste” and “Best English Song Of The Year” for his own composition, Sons. 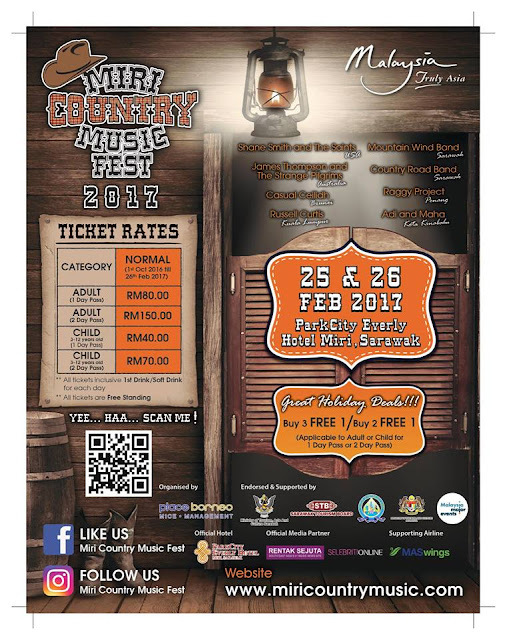 The Miri Taxi Association has been engaged to assist with promoting the event by placing the official MCMF car sticker on their taxis and inserting the flyers into their seat pockets. The organiser would like to support local economic scene by involving local business and retail companies, which includes taxis, hotels, F&B outlets, retail outlets and so on. 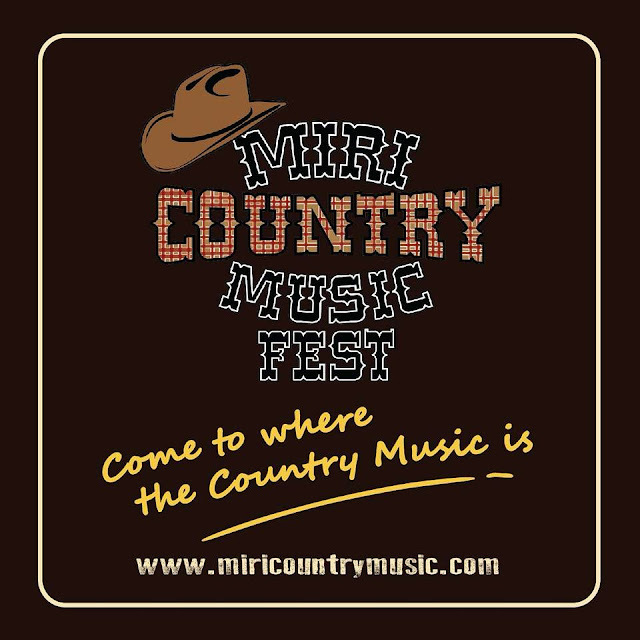 Stay updated with us on Facebook and tickets are available online at www.miricountrymusic.com.